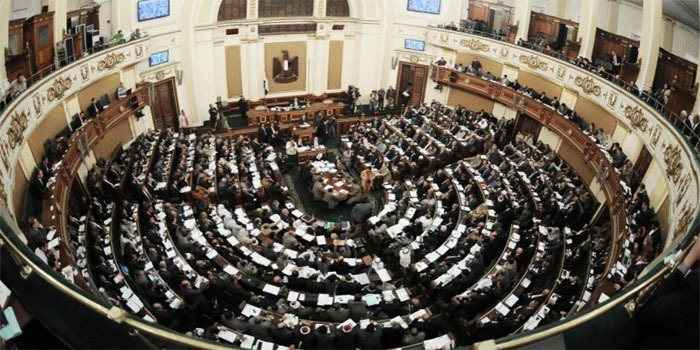 Parliament’s foreign affairs committee headed by Tarek Radwan issued a statement on Saturday criticising a report by Amnesty International that included claims that Egyptian military uses the internationally banned. Amnesty published on Wednesday a report saying that the organisation’s experts have found that Egyptian military to be using cluster bombs in one of the videos published on the daily updates about military outcomes in North Sinai. The video was posted on the official Twitter account of the Egyptian Armed Forces spokesperson on 9 February. It also said that the organisation used to issue biased and irrational reports, and stressed that over the past years, the organisation did not issue a statement condemning terrorist operations in Sinai or the media releases of Islamic state group. He also added that Amnesty that claims to defend human rights, completely ignores the suffering of the Egyptian people during the war on terror, and the martyrs who have sacrificed their lives in the face of despicable terrorism. The report further cited another human rights violation by the Egyptian military, something that was repeatedly denied by Egypt. Another violation reported by Amnesty was an instance where F16 fighter jets carried out air strikes on densely populated residential areas in Sinai in 2015, which the report said killed dozens of residents, including children. Last week, Egypt’s army spokesperson Tamer El-Refaei announced launching the comprehensive operation “Sinai 2018,” that include plans to confront terrorist and criminal elements and organisations in North and Central Sinai, and in other areas in the Nile Delta and desert areas west of the Nile Valley. The Egyptian military is publishing daily updates on the operation in Sinai that involves all divisions of Egyptian armed land, naval, and air forces, as well as the police and border guards.